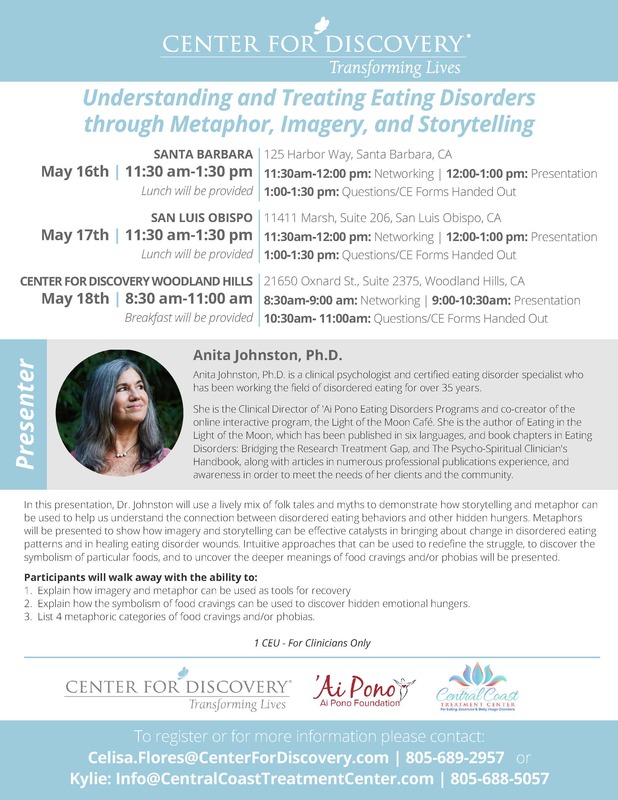 In this presentation, Dr. Johnston will use a lively mix of folk tales and myths to demonstrate how storytelling and metaphor can be used to help us understand the connection between disordered eating behaviors and other hidden hungers. Metaphors will be presented to show how imagery and storytelling can be effective catalysts in bringing about change in disordered eating patterns and in healing eating disorder wounds. Intuitive approaches that can be used to redefine the struggle, to discover the symbolism of particular foods, and to uncover the deeper meanings of food cravings and/or phobias will be presented. Explain how imagery and metaphor can be used as tools for recovery. Explain how the symbolism of food cravings can be used to discover hidden emotional hungers. List 4 metaphoric categories of food cravings and/or phobias. 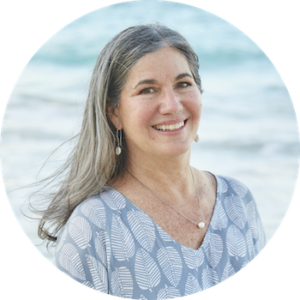 Anita Johnston, Ph.D. is a clinical psychologist and certified eating disorder specialist who has been working the field of disordered eating for over 35 years. She is the Clinical Director of ‘Ai Pono Eating Disorders Programs and co-creator of the online interactive program, the Light of the Moon Café. She is the author of Eating in the Light of the Moon, which has been published in six languages, and book chapters in Eating Disorders: Bridging the Research Treatment Gap, and The Psycho-Spiritual Clinician’s Handbook, along with articles in numerous professional publications experience, and awareness in order to meet the needs of her clients and the community.